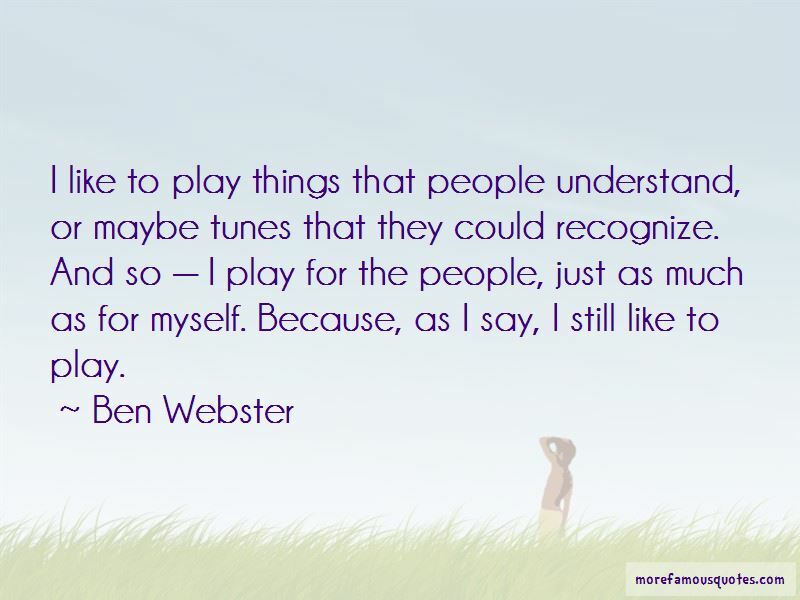 Enjoy the top 7 famous quotes, sayings and quotations by Ben Webster. 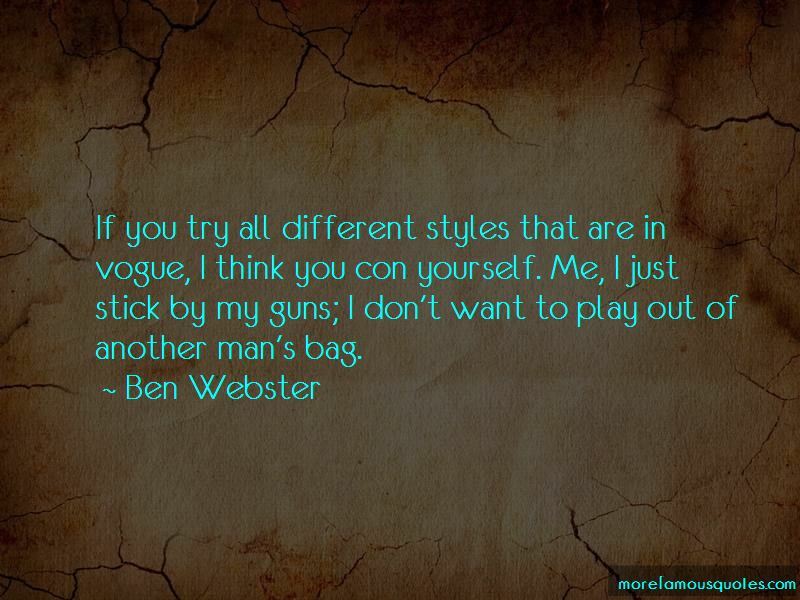 If you try all different styles that are in vogue, I think you con yourself. Me, I just stick by my guns; I don't want to play out of another man's bag. 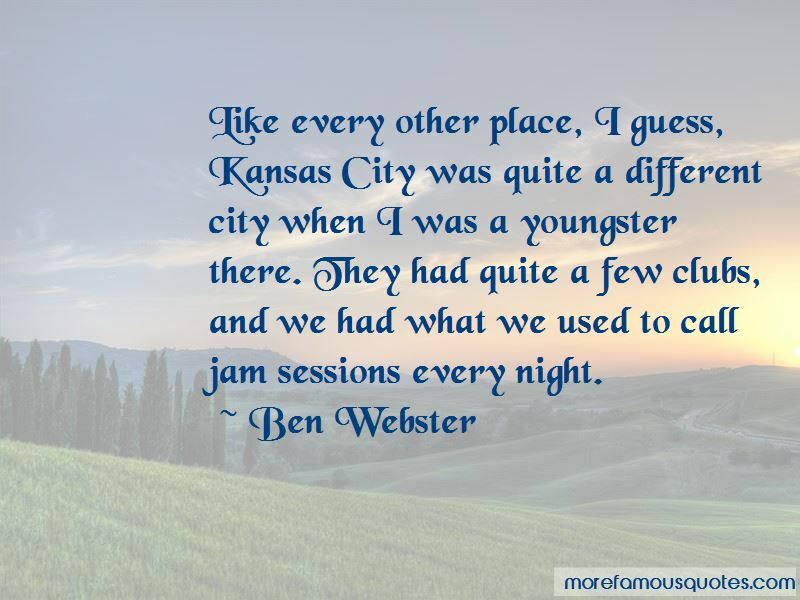 Want to see more pictures of Ben Webster quotes? 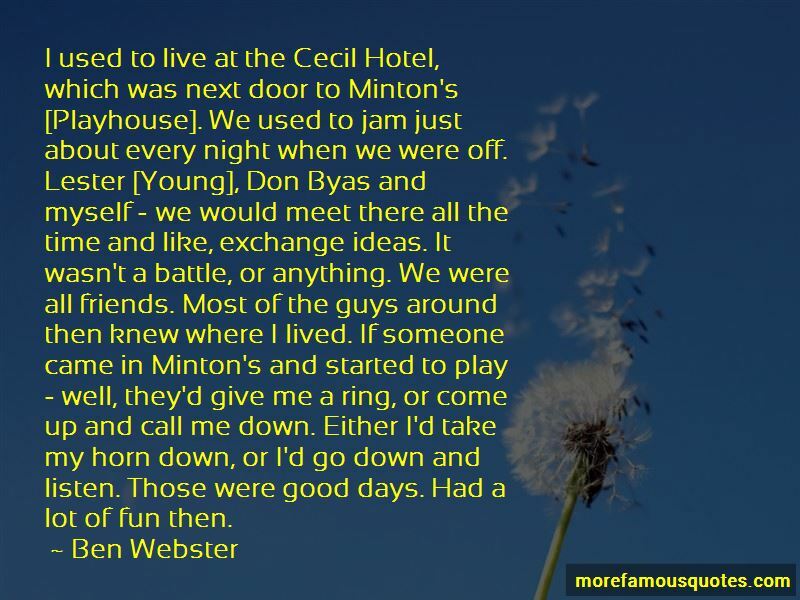 Click on image of Ben Webster quotes to view full size.